I thought that this would a good of time to re-affirm the tenets of the Golden Rule and the scriptures that seem to capture the essence of it. At its essence, reciprocity is the golden rule. Do unto others as you would have done to you. 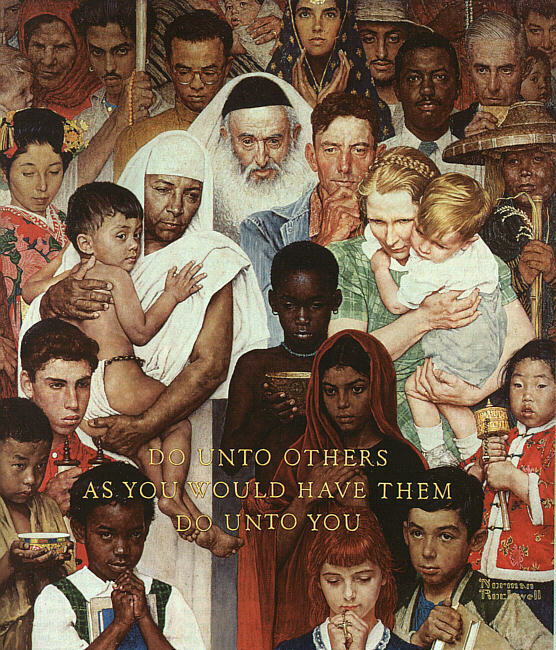 Essentially, this is the application of the principal of the golden rule across 14 different faith traditions. It does not say they are all the same, rather it reflects a broader equanimity between all faiths and faith traditions and no matter your belief others believe similarly to you.